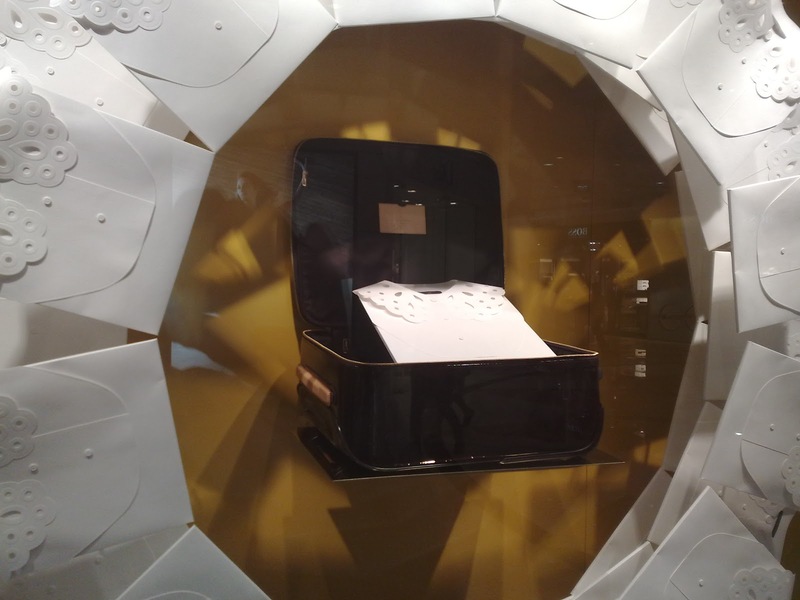 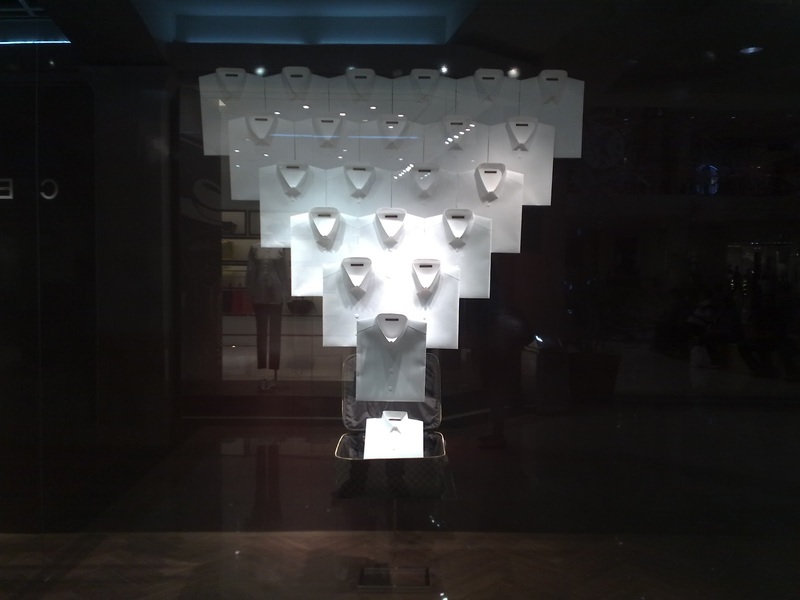 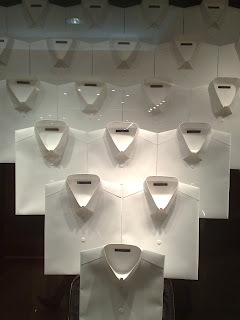 After the attack of the colorful arrows, Louis Vuitton window display is now already decorated with hundreds of white shirts in various composition. 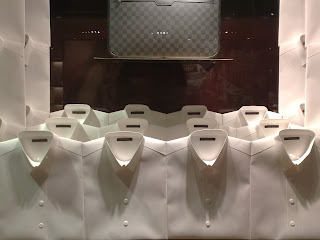 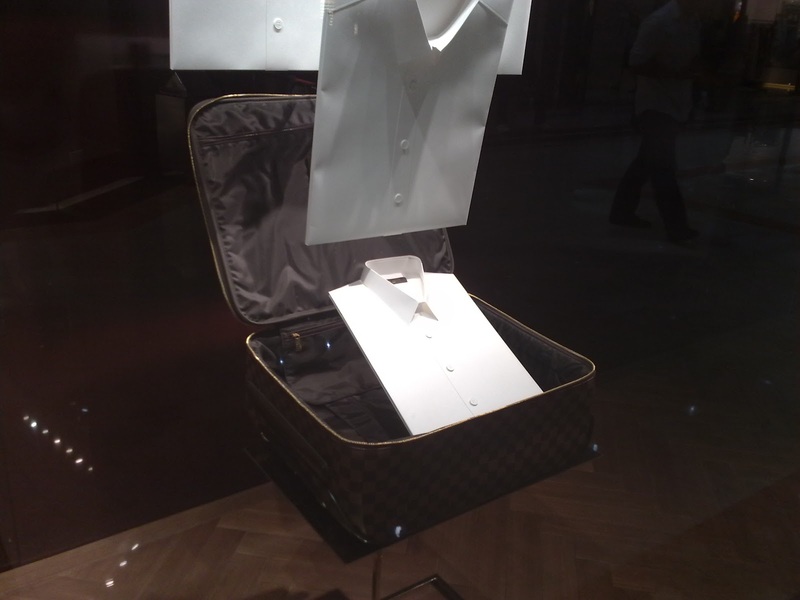 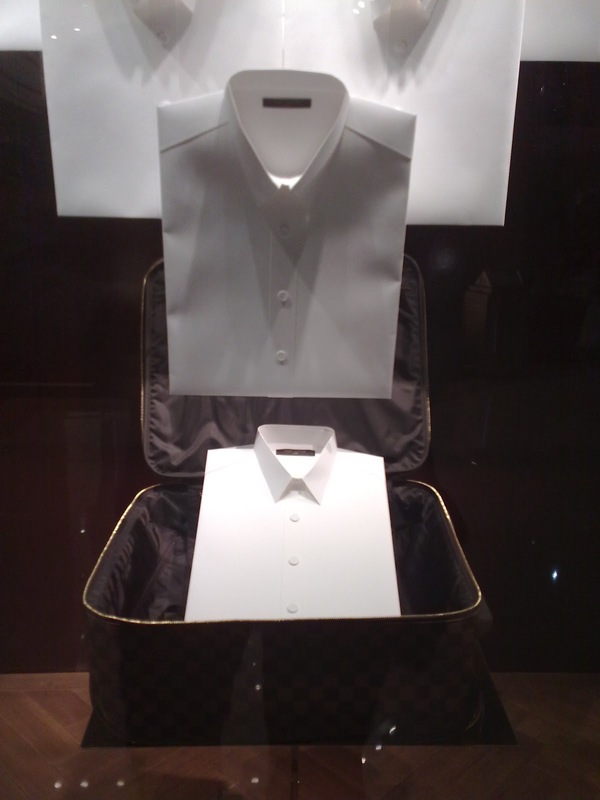 In Louis Vuitton Plaza Senayan for example, men classic crisp white shirts are flying out of a Louis Vuitton luggage bag like a magic shirt. 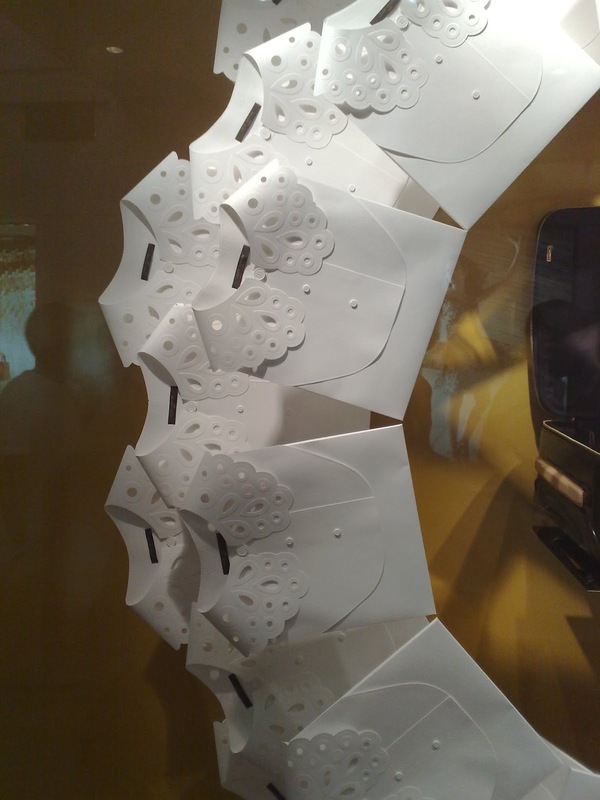 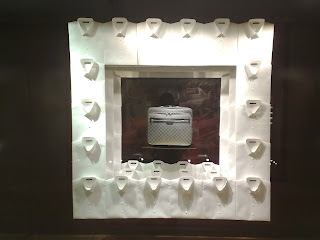 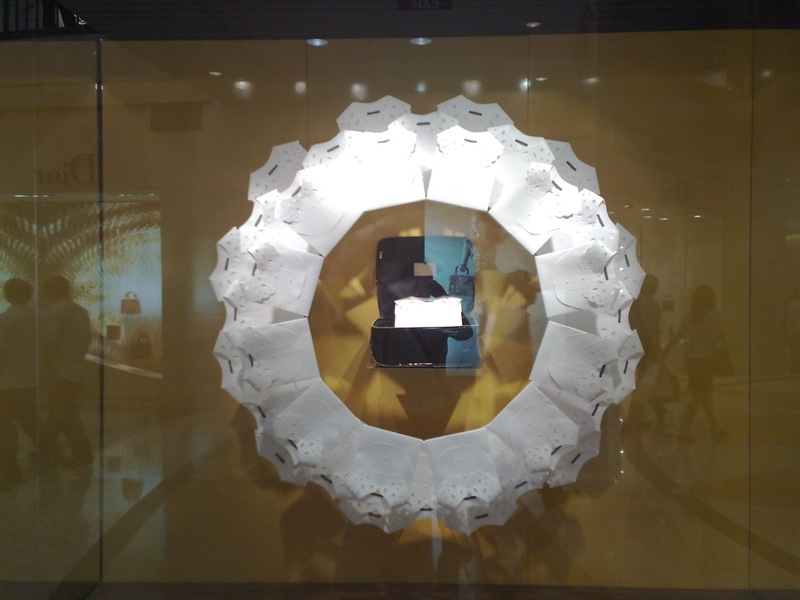 In the other window, a lacey collar women shity make a circle formation surrounding a luggage. 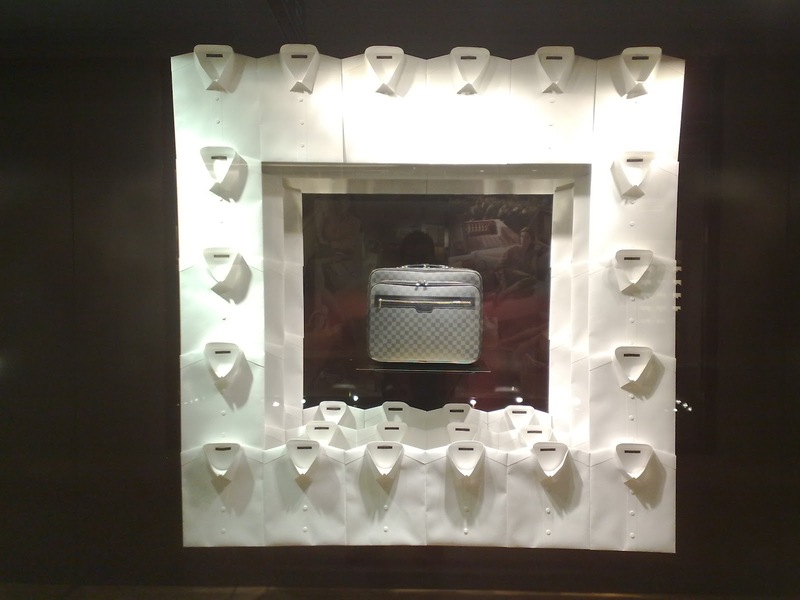 Where as at Plaza Indonesia, the classic men shirts surround a Damier motif luggage in a square formation. 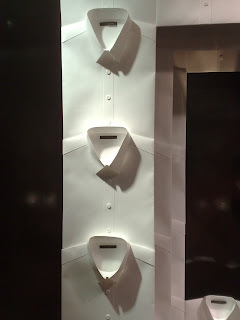 Simple concept but still extraordinary.